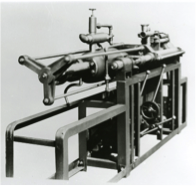 History｜Corporate Information｜NISSEI PLASTIC INDUSTRIAL CO., LTD.
engaging in plastics processing and development of related machinery. Jul.Nissei Plastic Seisakusho established as a limited partnership. MayRe-incorporated as Nissei Plastic Industrial Co., Ltd.
Jul.AU-1 machines sent to the U.S. are the company's first-ever export. Apr.Output and sale of 1,000th injection molding machine achieved. 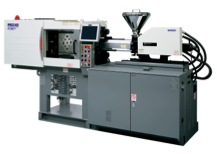 Nov.Output and sale of 5,000th injection molding machine achieved. MayExport of injection blow molding technology to Automatik Co. of West Germany. Aug.Export of injection molding machine technology to The FAMA Co. of Mexico for launch of local production and sales. Feb.Hong Kong Representative Office opened. Jul.Output and sale of 10,000th injection molding machine achieved. Sep.Nissei Machinery Service Pte. Ltd. (later renamed Nissei Plastic Singapore Pte. Ltd.) established as a joint venture in Singapore. 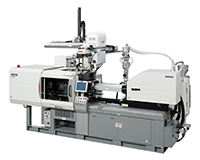 Oct.Nissei America, Inc. established as a subsidiary in the U.S.
Nov.Output and sale of 20,000th injection molding machine achieved. Aug.Nissei Plastic (Hong Kong) Co., Ltd. established as a subsidiary in Hong Kong. Mar.Output and sale of 30,000th injection molding machine achieved. Aug.Taiwan Nissei Machinery Corporation established as a subsidiary in Taiwan. Feb.Output and sale of 40,000th injection molding machine achieved. Apr.Chairman K. Aoki awarded Prize for Superior Merit in blow molding by SPE (Society of Plastics Engineers). Dec. Technical Research Institute established in head office. Aug.Output and sale of 50,000th injection molding machine achieved. Dec.Stock listed on the 2nd section of Nagoya Stock Exchange. Sep.Output and sale of 60,000th injection molding machine achieved. Jun.Nissei Mexico S.A. De C.V. established. Nov.Nissei Plastic (Thailand) Co., Ltd. established in Bangkok. Jan.Measures addressed to introduce "CE Marking" for EU markets. Jan.ISO 9001 accreditation acquired concerning design, development, manufacture and shipment of injection molding machines. Mar.Output and sale of 70,000th injection molding machine achieved. Feb.Representative Office opened in Monterrey, Mexico. Jul.Output and sale of 80,000th injection molding machine achieved. Sep.Stock listed on the 2nd section of Tokyo Stock Exchange. Feb.Office opened in Guadalajara, Mexico. Mar.Stock listing re-designated to the 1st sections of the Tokyo and Nagoya stock exchanges. AprT. Yoda assumed office of Chairman; H. Yoda became President. Dec.Accreditation shifted to ISO 9001: 2000 version. Jan.Output and sale of 90,000th injection molding machine achieved. Jul.Nissei Plastic (Shanghai) Co., Ltd. established as a subsidiary in Shanghai. Jun.Representative Office opened in Vietnam. Sep.Office opened in Suzhou, China. Nov.Office opened in Tianjin, China. Mar.Accreditation shifted to ISO14001: 2004 version. Aug.Technical Center established in Bangkok, Thailand. Jan.Cumulative sales of 100,000 injection molding machines achieved. Mar.Representative office in Vietnam reestablished as an oversea subsidiary. Feb.NISSEI's X-pump equipped hybrid type injection molding machines received the "Director General of the Agency of Natural Resources and Energy Award," at the "Implementation of Energy Conserving Machinery Awards" by The Japan Machinery Federation. Jun.NISSEI's X-Pump equipped hybrid type machines awarded with the "Best Technology Award (The Katashi Aoki Technology Award)" from the Japan Society of Polymer Processing. MayRepresentative Office opened in Gurgaon, India. Jun.A branch of Nissei Plastic (Vietnam) Co., Ltd. opened in Hanoi. Jul.Nissei Plastic Machinery (Taicang) Co., Ltd. established as a production subsidiary in China. Feb.Branch office opened in Taicang, China. MayThe founder, K. Aoki, inducted into the “Plastic Hall of Fame” by SPI (Society of the Plastics Industry). Jun.Service office opened in Wuhan, China. MayNissei Plastic Machinery (Thailand) Co., Ltd. established as a production subsidiary. Apr.Thailand factory completed, and operation started. Oct.Representative office in India reestablished as a subsidiary. Dec.Nissei Metal Works Co., Ltd. established as a production subsidiary for IMM's parts. Mar.Cumulative sales of 120,000 injection molding machines achieved. Oct.Nissei Plastic Philippines, Inc. established as a subsidiary in Laguna. Dec.Representative office in Indonesia reestablished as a subsidiary. Dec.New Taicang factory completed, and operation started. Jan.Nissei Plastic (Taicang) Co., Ltd. established as a subsidiary in Taicang, China. 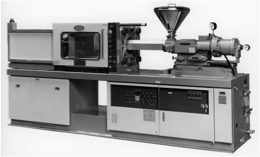 Nov.Nissei Plastic Machinery America Inc. established as a production subsidiary. MayOffice opened in Queretaro, Mexico. The development of plastic processing and its machines begins. Starting full-scale production and sales of injection molding machines. Shipping the first YD-2 model. 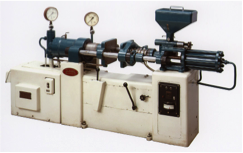 Developing the rotary ram type in-line screw injection mechanism, one of the most important NISSEI's patented mechanisms still widely used throughout the world today. Developing TN-25B model, vertical injection molding machine. Developing TS-100 model, ram straight-hydraulic/mechanical clamping mechanism. Releasing DC Series, the injection molding machine designed exclusively for two-colored products. Developing IB-M model, injection blow molding machine. Developing PS model, compact precision molding machine. Developing ULV-1 model, supersized injection molding machine. Releasing FS Series, the injection molding machine designed for low-noise operation. Releasing SSE System, an epoch-making energy-saving hydraulic control system. Releasing electric servomotor-driven MM-5, the first of its kind in the world. Developing FP flexible product system. 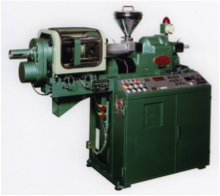 Releasing FE Series, the high-performance general-purpose injection molding machine. Releasing UH1000, the ultra high-speed filling injection molding machine with the maximum injection velocity of 1,000 mm/s. FP integrated system received the "The Katashi Aoki Technology Award" from the Japan Society of Polymer Processing. Releasing HM7, the tabletop type compact injection molding machine. Receiving the "The Katashi Aoki Technology Award" from the Japan Society of Polymer Processing with ultra high-speed filling injection molding machine. Releasing FN Series, the high-performance general-purpose injection molding machine. FN Series ranked first as "the most recommendable molding machines" in the US magazine "Plastic Product Review." Releasing FMg3000, the injection molding machine for magnesium alloys. Releasing NEX Series, the high-performance electric injection molding machine. Releasing PNX Series, the new hybrid type injection molding machine with ultimate energy-saving and quick-response operation. Releasing FNX Series, the hybrid type injection molding machine with X-Pump. Nissei's hybrid type injection molding machines with X-Pump received the "Director General of the Agency of Natural Resources and Energy Award" as an environmentally friendly product at the "Implementation of Energy Conserving Machinery Awards" held by the Japan Machinery Federation. Releasing small general-purpose NPX7 model, vertical TNX Series and large FVX Series all with X-pump. Hybrid type machines with X-Pump received the "The Katashi Aoki Technology Award" from the Japan Society of Polymer Processing. Releasing electric molding machine NEX-T Series, the first overseas manufactured machine (Made by Taicang factory in China). 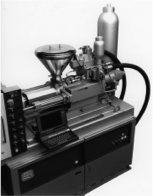 Releasing injection molding system for bioplastics. Releasing NEX-III Series, a new model of electric molding machine. Releasing FNX-III Series, a new model of hybrid type injection molding machine. Production started in Thailand factory. Releasing FVX-III Series, a new model of Large-sized hybrid type injection molding machine. Releasing NEX-IV Series, a new model of electric type injection molding machine.